One of the nice things about Heath is that he's a real clutch hitter. Neise always has been a line-drive hitter who uses the entire field. 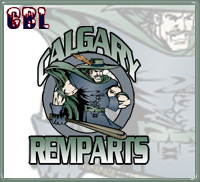 The Calgary Remparts do tend to sit Neise when the opposing team throws a lefty. It's no secret he can't touch the left-handed breaking ball. Though he managed to record his share of assists, his arm is just average. Neise is an intelligent baserunner with average speed, but he's not a basestealing threat.